The above Holiday Card is in three layers. The photo of the San Francisco Embarcadero Center is layered on top of white stock stationery then added onto a third layer of silver shimmer stock. The layered card is then affixed onto the pocket sleeve to accomplish the finished Holiday Card Look. 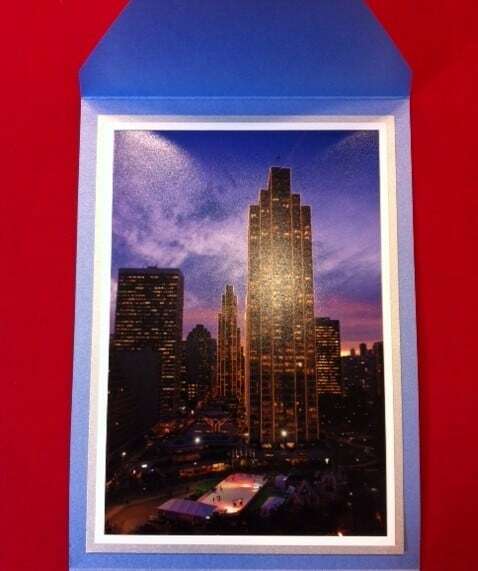 The above “You’re Invited” Holiday Card Sleeve is in “sky blue”. The tab affixed on top of the card is in two layers–white stock and silver shimmer stock inscribed with the words “You’re invited”. 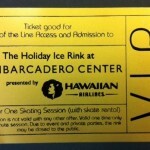 The above Holiday Invitation Card is the actual Invitation to the event. 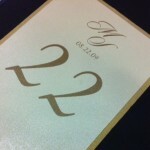 The card is two layers–white stock on top of silver shimmer stock. The card is then inserted into the pocket sleeve in the previous example. 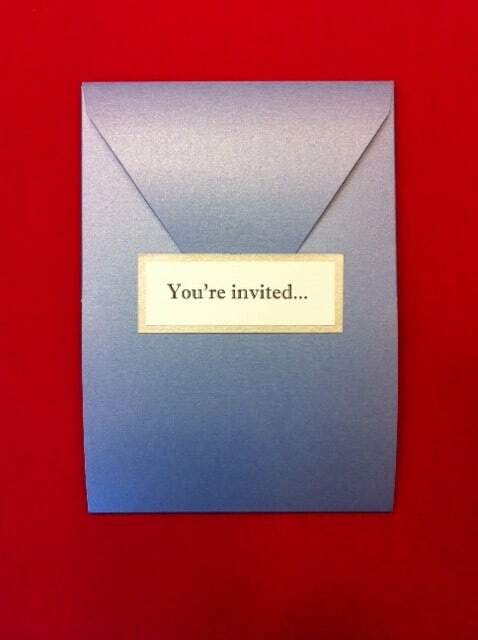 The text of the invitation is in three different ink colors: blue, black and silver. The logo for the Hawaiian Airlines is multi-colored. This is an example of a custom holiday card. The finished look is high-end, rich with fine stationery and stylish! 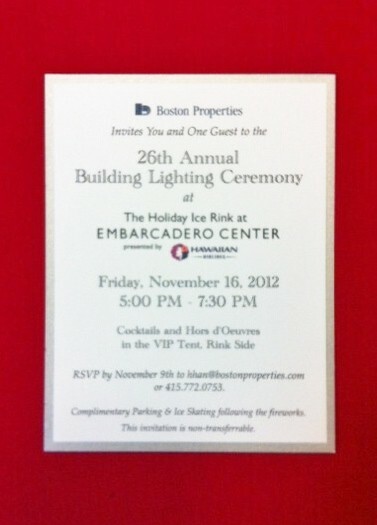 To see the San Francisco Embarcadero Center’s 25th Annual Building Lighting Ceremony Invitation Card please go to https://www.hyegraph.com/2012/10/boston-properties-25th-annual-building-lighting-ceremony-card/.